Hyderabad is the new home to the leading IT industries. For employment opportunities, the city offers high-profile job options and due to which a large number of expatriates are choosing Hyderabad city. Due to the increasing housing demands, Hyderabad’s real estate market is booming. 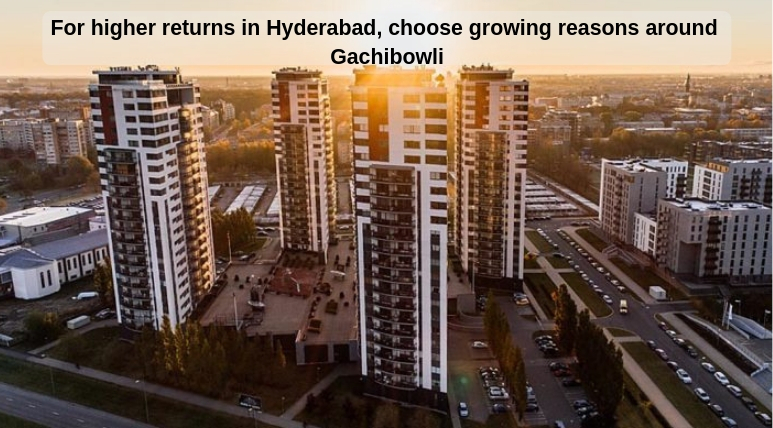 For real estate investments, Gachibowli is a great location in the city. The suburb located just 5 kilometres off the HITEC city is itself a financial district and due to the advancement here in the infrastructure facilities, there is a great demand here for the residential flats and apartments. There are many developed regions in this suburb out of which, Puppalaguda is a newly emerged posh locality where several outstanding projects are presenting great luxury living features to the homebuyers. Gachibowli has a great network of express roads and connectivity is absolutely great in this region. For huge returns on investments, this is one of the best options available in the city. If you do not want to miss any of the modern luxury resources, please choose Prestige High Fields for a sophisticated and comfortable lifestyle in Hyderabad. You will witness here the greatest level of amenities and the wonderful extensive greens here will provide you with a relaxed and peaceful living experience. The developers will release possession by August 2020 for their 2, 2.5, 3, 3.5 and 4 BHK apartments which are customized with the latest designing techniques and wonderful interiors. Buyers can select here from the various sizes available which range from 1283 sq. ft. to 4070 sq. ft. The brilliant floor planning provides maximum space utilization in these Vaastu homes. 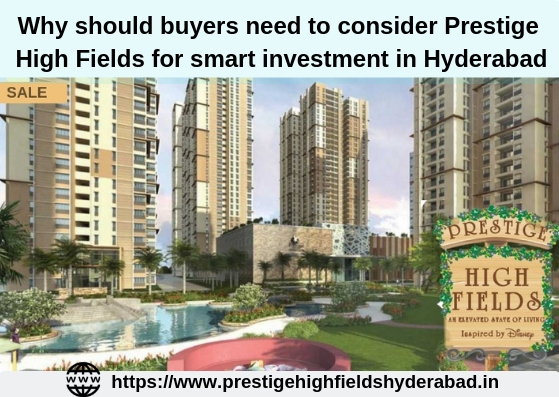 The township connects smoothly to the major commercial districts in the city and Prestige High Fields Hyderabad provides a smooth travelling experience to its users to move throughout the city seamlessly. The complex has the availability of great features like an amphitheatre, swimming pool, gym, clubhouse, restaurant, meditation centre, shopping centre etc. With prices starting from Rs. 66.71 lakhs which further extend up to Rs. 2.11 crores, you can book here an apartment.